1 piece. 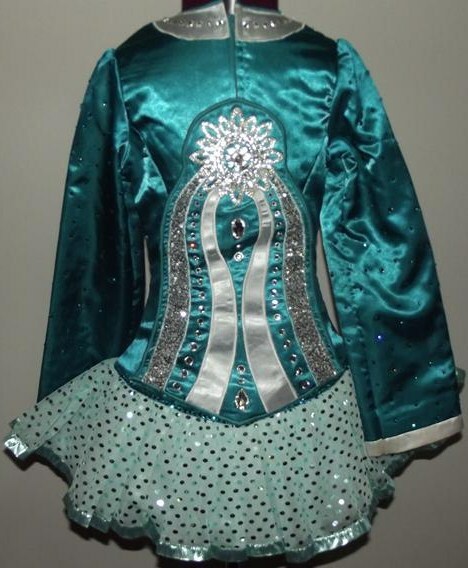 Teal and White Duchess Satin with Silver Sequin Material on Bodice and Sleeves. Skirt is Sea Foam Green Tulle with White Tulle. Sea Foam Green Foil underneath and along edge. 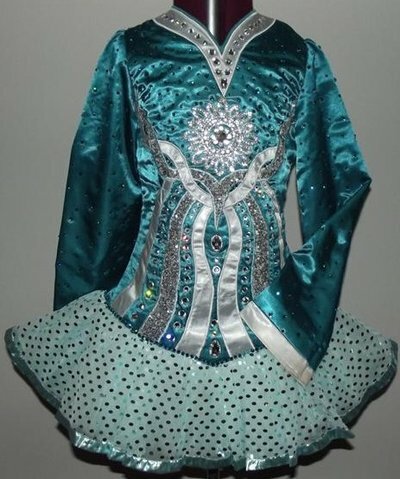 Adorned with two stunning Rhinestone center pieces and hundreds of Teal and Crystal Swarovski’s. 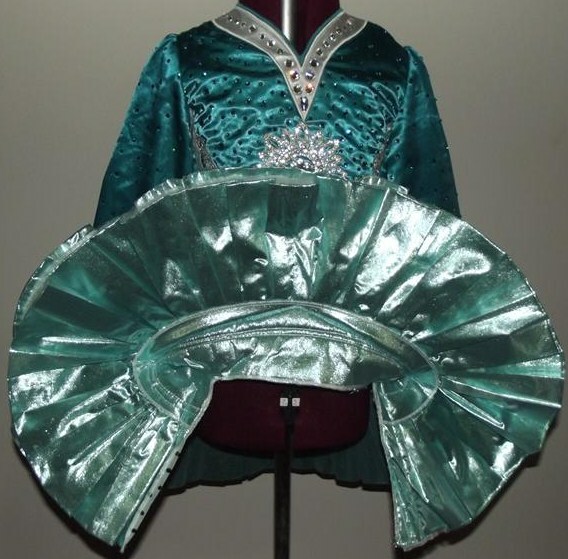 Comes with Bloomers with petticoat attached. 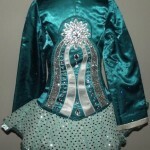 Sleeve length can be adjusted. The 26 3/4″ is from the back of the neck to the bottom of the hem. Asking Price: $AUD850. Shipping costs are not included in the asking price. Will accept returns and refund the cost of the dress, buyer to pay all shipping costs.